- We encountered the tough opponents, because the meeting was tough. We tried to find different ways to the German team’s goal, but, unfortunately, we failed to score. At the same time, Shakhtar didn’t create that many dangerous chances. We must review this match once again, analyse the mistakes made in order not to repeat them in the future. It’s true that we play undergoing major workloads, and I would lie saying that I didn’t get tired at all. But this is a training camp, and everyone understands why we’ve been doing all that. No great victories, titles and trophies can be achieved without them. The players know that right now we must give our all in order to approach the season being 100% fit. 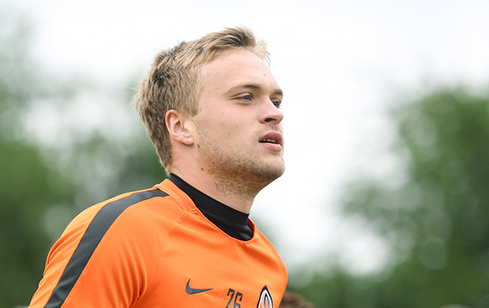 And, I think, Shakhtar players are already close to their optimum form as we step it up every day. Here they’ve ensured every condition for us to develop and prepare well for the start of the new football season, in particular, for the Ukrainian Super Cup decider vs Dynamo. - Despite the stalemate, I’ve got a good impression of the test game. In the duel vs Holstein, we’ve checked our strength, practised some set pieces the coach asked us for. The only minus is that we didn’t score. The opponents turned out to have a combative team, which tried their hardest not to let us win. As for me, I didn’t carry out any special work. In general, we’ve been training very well, rediscovering our optimum form and preparing for the season opener in Odesa.